See the magnificent natural wonders of Iceland’s Golden Circle attractions, with a leisurely start to your day! Not much of an early bird? Or have other plans in the morning? Our golden Circle Afternoon Tour leaves later in the day to offer you some flexibility in your schedule. This half-day tour covers the 3 most popular attractions on the Golden Circle route. 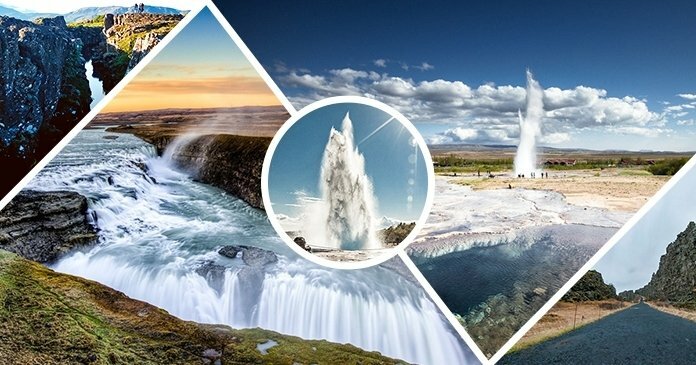 You’ll get to take in the wild natural beauty of Þingvellir National Park, Gullfoss Waterfall and the Geysir hot springs in one compact tour. You might even recognize a scene or two from popular show Game of Thrones – more on that soon, so keep reading, or book now to see for yourself! 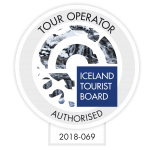 If you’re looking for half-day tours from Reykjavík, The Golden Circle Afternoon Tour has you covered. This convenient itinerary means there’s no need to get up early – we all know how tiring traveling can be! Or if you are an early riser, you’ll even have time to do some exploring on your own before your tour. Your Golden Circle trip will start with a convenient late-morning bus pickup in Reykjavík. You can request a pickup from selected hotels or meet us at one of the designated Bus Tour pickup points in the city. Our knowledgeable guide will entertain you with some fascinating insights into Iceland’s rich history and culture. You’ll experience some of Iceland’s most breathtaking scenery on this tour. The route will take you from Reykjavík to Geysir geothermal area, Thingvellir National Park and the Gullfoss Waterfall (and back again!). Stand on the spot where the American and Eurasian tectonic plates meet – and where Viking leaders once met each year in the world’s earliest parliament. They have left their imprint on the landscape in a surprising way – check out the full itinerary to see what it is. Brilliant trip... perfect to see the main sights of Iceland in a day. The tour guide, Iris Maria, was amazing! She told us so many facts about the places we visited and was very friendly... if you get her as your guide you are lucky. trip was worth every penny. The tour guide, Iris Maria, was fantastic. She gave facts as we went, keeping every part of the journey interesting and steeped in the Icelandic culture. The trip itself was basically everything (barring the Aurora) that you HAVE to see if you visit Iceland. We went in April, with decent weather, and had a wonderful time. The Golden Circle Afternoon Tour will take you to all the must-see attractions in one efficient yet relaxed afternoon. You’ll have a late-morning pickup from Reykjavík before we set out for the tour. Let’s take a closer look at the stops along our Golden Circle route. First up, we’ll head to the Gullfoss Falls near Reykjavík – one of Iceland’s most beautiful waterfalls. The Gullfoss waterfall is awesome in the true sense of the word. When you first approach, you can’t see the bottom – it feels like the cascade of water is rushing into an endless space. Get closer and you’ll see and hear the torrent crashing into the river far down below. At 32 meters tall, it’s an impressive drop. This raw power also has an enchanting beauty, with the water shimmering in the light and giving the “Golden Falls” their name. At the Gullfoss Falls in winter the landscape is dusted with icy whites and blues. 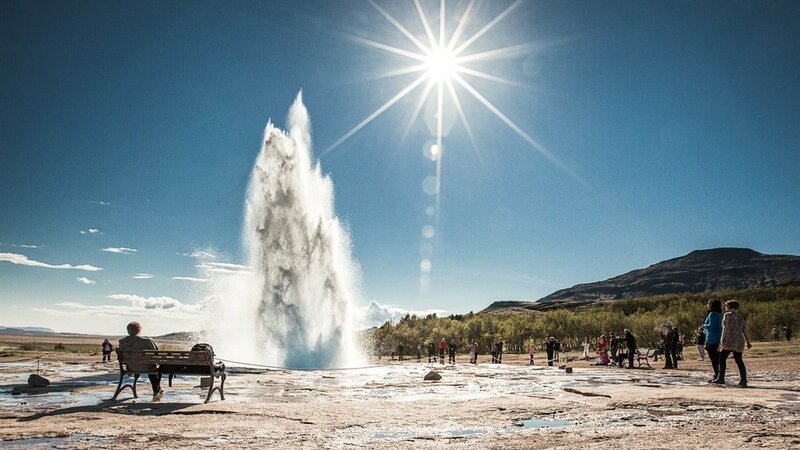 This geothermal region is named after a 10,000-year-old geyser – named Geysir or “The Great Geysir”. It’s famous for being the first geyser ever mentioned in print, and is the reason we have the word “geyser” in English. It’s tiring being so famous – so Geysir is now enjoying a well-earned retirement and no longer erupts on its own. However, the nearby Strokkur geyser is still very vibrant and erupts every few minutes. You’ll be able to spot its column of steaming-hot water shooting up in to the air – get in quick to snap a pic! While at the Geysir hot springs you’ll also get to sit down at the local restaurant to savor some traditional Icelandic dishes for lunch. Þingvellir (Thingvellir) National Park is a UNESCO world heritage site, rich with both geological and historical significance. You’ll be able to explore the fascinating landforms caused by the meeting of two continents – the Eurasian and North American tectonic plates meet at Þingvellir. This geological activity has created the Silfra fissure, a popular spot for diving. If you’re a fan of Game of Thrones, you might also spot some familiar scenery here! The rocky cliffs of Þingvellir provided the backdrop for scenes filmed at the entrance to the Eyrie. In terms of real-life historical leaders, Þingvellir also marks the site of the world’s earliest parliament. Old Viking leaders decided to meet here each year to discuss important affairs. You can even see the carved stone seats they once sat in. 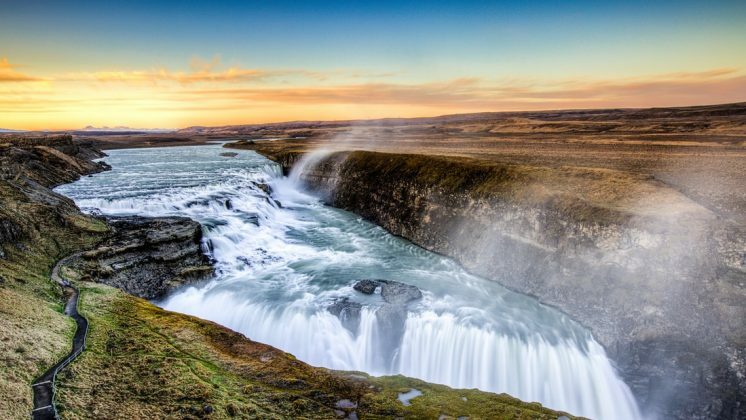 This marks the end of your Golden Circle Iceland Itinerary – but not the end of the scenery! You’ll get to enjoy more stunning landscapes from the bus on your way back to Reykjavík. Be ready at the designated time for your pickup for the Golden Circle Afternoon Tour. Pickup may take up to 30 minutes from the assigned time. You can request a pickup from selected hotels, or meet at one of the special Tour Bus stops in central Reykjavík. Want a full-day Golden Circle Tour? Check out our Grand Golden Circle Tour. 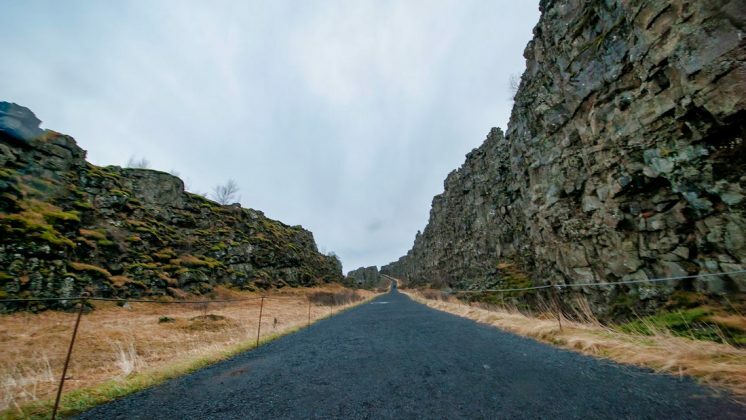 This classic route is a slightly longer day trip from Reykjavík. 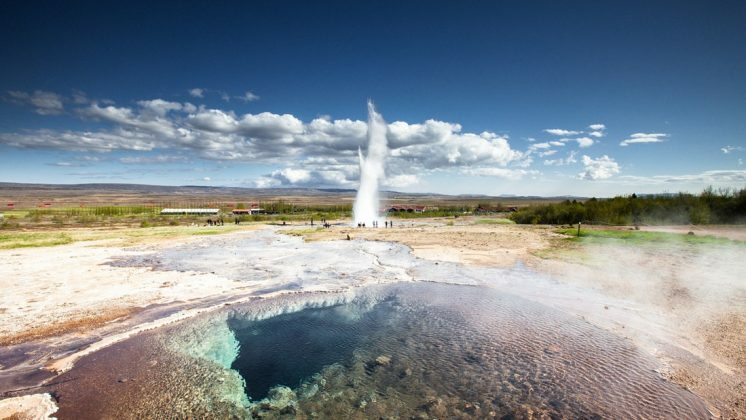 It includes the main Golden Circle stops of Þingvellir, Gullfoss Waterfall and Geysir. We’ll also make bonus stops at the Faxi Waterfall and the Kerið volcanic crater. Want a more intimate travel experience? Travel in added comfort with our Golden Circle Premium Minibus tour. This is the best Golden Circle tour if you want a premium experience with the added flexibility of a smaller group. 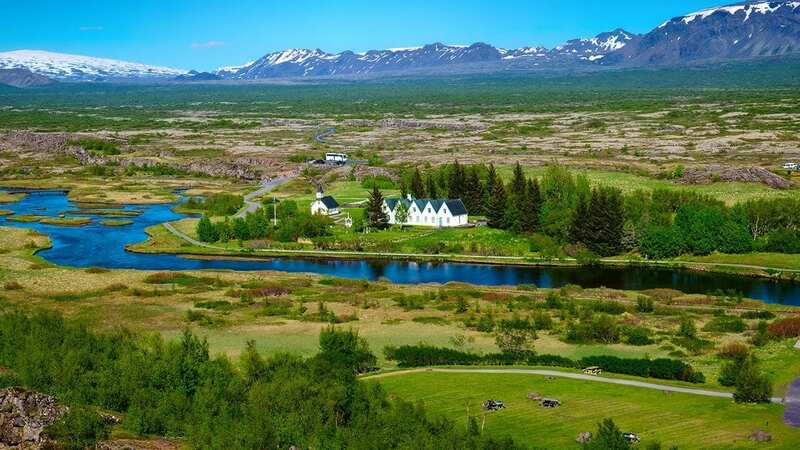 See the classic attractions of Þingvellir, Geysir and Gullfoss Waterfall. Plus, you’ll get to visit the Kerið volcanic crater and family-run Friðheimar farm. If you want a fun and convenient itinerary that starts later in the day, our Golden Circle Afternoon Tour is for you. Packed with beautiful scenery and intriguing history, you’ll make the most of your afternoon with this focused route. Experience the stunning natural beauty of Iceland at Þingvellir National Park, Gullfoss Waterfall and the geysers of Geysir. Reserve now for the best of the southwest, in less time!